Vitamins, minerals, and delicious flavour all in one bowl! 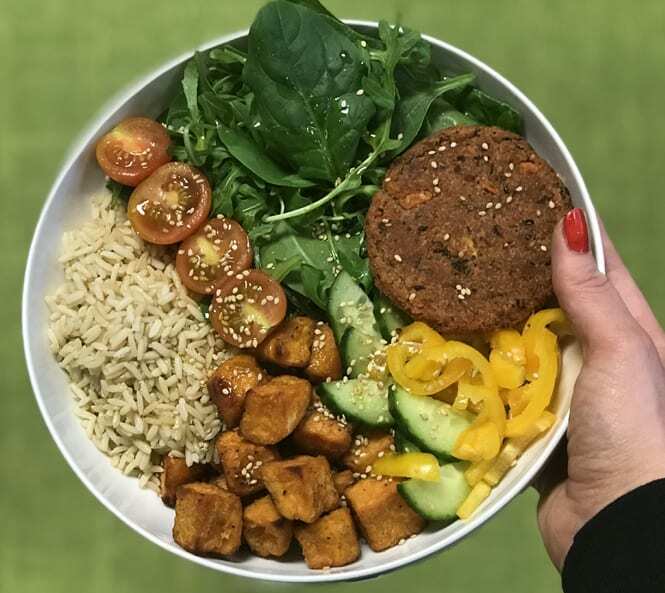 Our Super Food Buddha Bowl features our Beetroot & Bean Burger in a tasty and colourful setting, serving as a protein-packed and fibre-filled base to this hearty and filling lunch or dinner. Place the Garlic Roasted Sweet Potato Chunks and Beetroot & Bean Burger on a baking tray and cook as per pack instructions. Cook the brown rice for the recommended time. Arrange salad, tomatoes, peppers, brown rice, chunks and burger in a large bowl. Retrieve a fork and dig in! Plant-Based Valentine’s Day Burrito Bowl!